Calling all kiddos ages 7-14! Looking for something to do on your last day of Spring Break? Gear up for Glen Rose Friday! 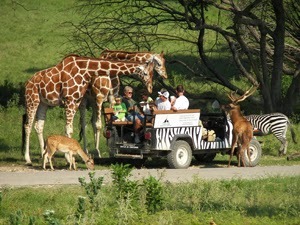 Explore all that Fossil Rim Wildlife Center has to offer. Walk where the dinosaurs walked and see their tracks. Feed the animals and take a 9 1/2 mile scenic wildlife drive. Top off the day with refreshments and a visit to the Children's Animal Center. Register online or in-person at the Wylie Recreation Center!